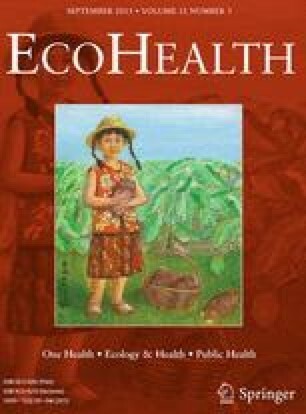 Anthropogenic land use changes have altered ecosystems and exacerbated the spread of infectious diseases. Recent reviews, however, have revealed that fire suppression in fire-prone natural areas has not been recognized as a form of anthropogenic land use change. Furthermore, fire suppression has been an under-recognized mechanism altering the risk and transmission of infectious disease pathogens and host–parasite dynamics. However, as settlement patterns changed, especially due to colonial expansion in North America, Africa, and Australia, fire suppression became a major form of land use change which has led to broad-scale ecosystem changes. Because parasites of humans and animals can vector viral, bacterial, prion, fungal, or protozoan pathogens, concomitant changes associated with anthropogenic-induced changes to fire frequencies and intensities are of concern. I provide reference to 24 studies that indicate that restoring fire in natural areas has the potential to reduce ectoparasites without wings such as ticks, chiggers, fleas, and lice; ectoparasites with wings such as mosquitos, horn flies, face flies, and stable flies; and endoparasites affecting livestock and wildlife. This suggests that fire ecology and parasitology be considered as a priority area for future research that has implications for both humans and animals. I appreciate the intellectual efforts by Gottdenker, Streicker, Faust, and Carroll for their 2014 review. Understanding infectious diseases is complex and cross-disciplinary dialog is critical.